Asakusa is excellent with Kimono, Japanese traditional dress. 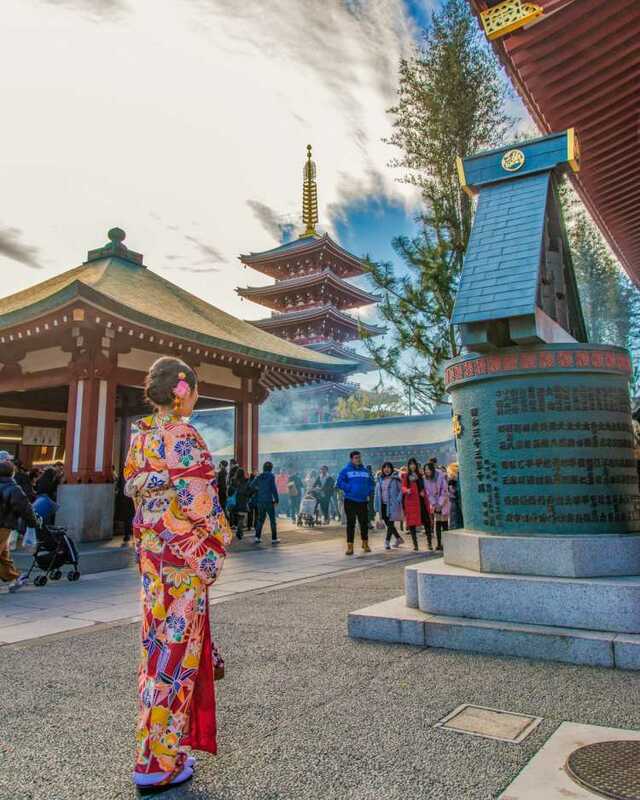 Kimono looks beautiful at Senso-ji Temple and Edo-machi around it. 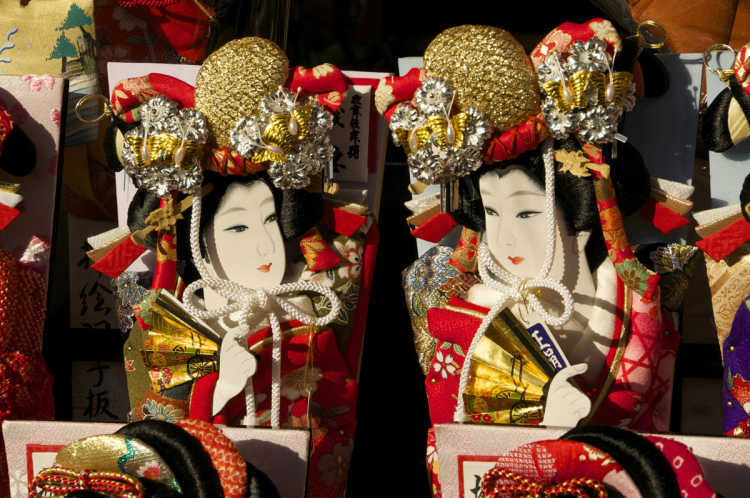 In the season of New Year Days, Nakamise-dori is decorated with New Year ornaments, and we can enjoy happier atmosphere than usual. The annual event held as a last fair of the year (in 2016, 3days on 12/17,18,19) at the site of Senso-ji Temple. People buy this gorgeous Oshie Hagoita for good health and fortune of the next year, and for talisman. Very crowded every year. 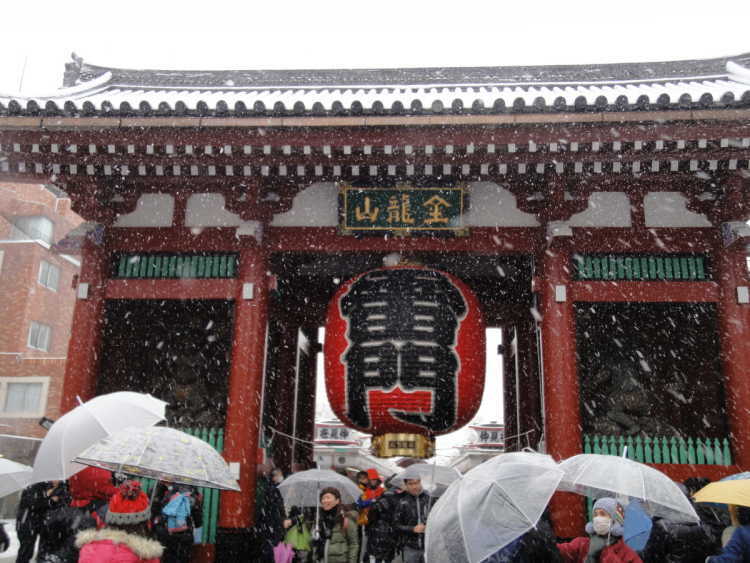 Sensoji Temple is a poplar tourist spot crowded with many people in daytime. But at night, there's few people. 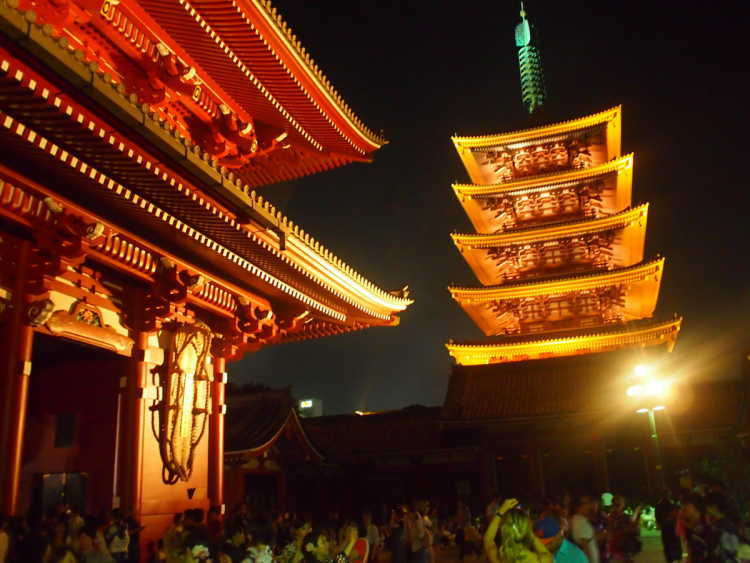 Why don't you visit Asakusa at night to see the beautiful lighted Sensoji Temple? 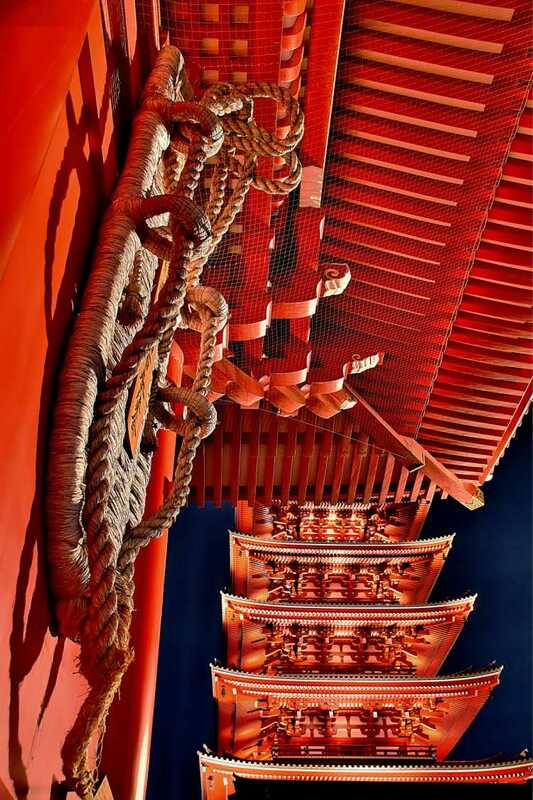 Senso-ji Temple is a highlight of Asakusa sightseeing. 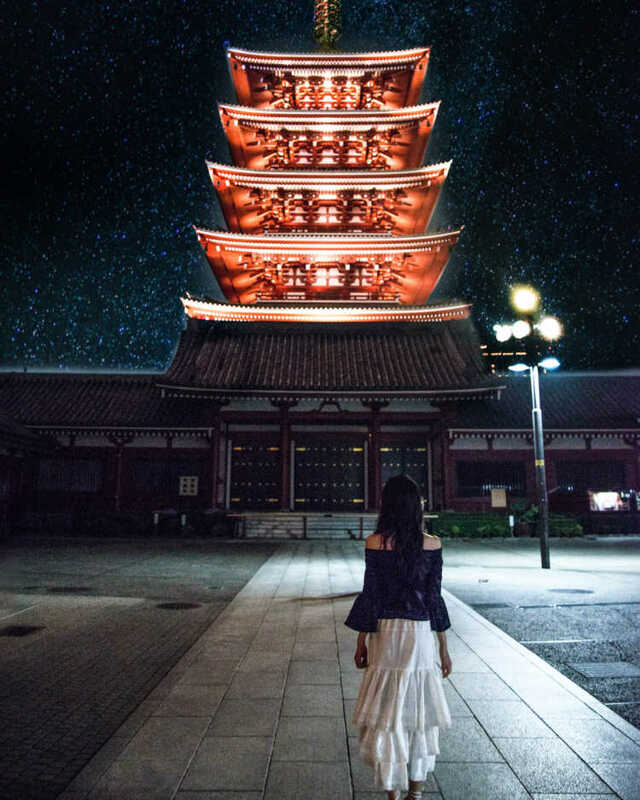 Especially, illuminated pagoda and Hozo-mon produce a mysterious beauty that make us forget that we're in a big city. The reflections on pools after the rain. 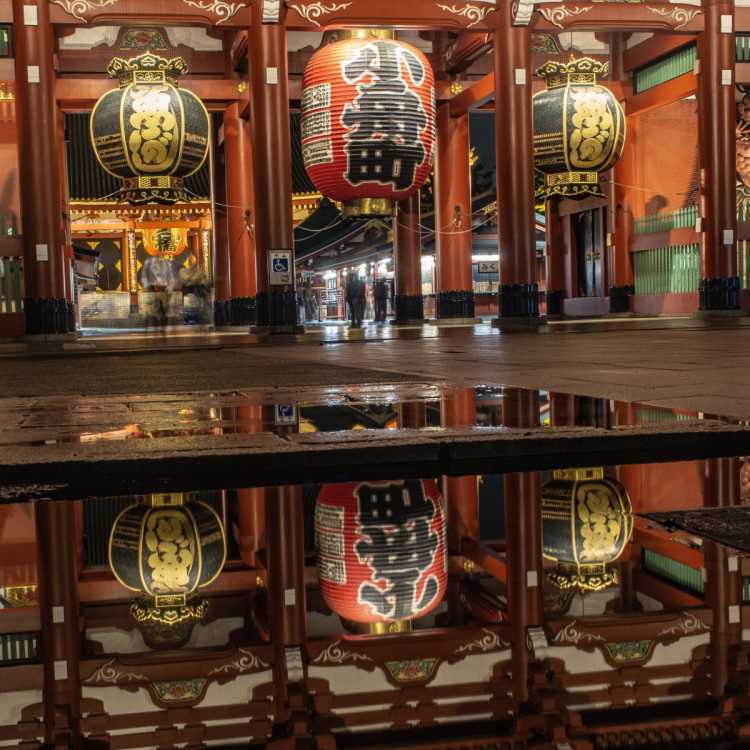 Though you have seen the ordinary Senso-ji Temple in Asakusa, you can see the different scenery when it stops raining.